EDCH offers comprehensive Data Clearing Services to help the respective clients maximize their revenues and ensure billing accuracy, promptly and efficiently. Acting as an agent for all clients, EDCH helps them to avoid losses resulting from wrong data exchange or delay in sending within timescale. EDCH offers a cost effective, proprietary billing support solution to GSM operators who wish to outsource their TAP file generation procedure. To comply with the GSM roaming standard of TAP formats, EDCH is able to assist clients in converting non-standard formats to the updated TAP versions. Auto-Removal Service automatically removes erroneous records within a TAP OUT file. TAP OUT files are commonly rejected by the validation process when invalid records are found and these TAP OUT files can be stopped for further processing until the records are corrected. Returned Account Procedure provides an automated method for handling incorrect TAP Data without delaying valid chargeable data. The Roaming Agreement Negotiation service allows operators to outsource to EDCH the administrative burden of signing agreements with new roaming partners. High Usage Reports are based on TAP files which are generated to monitor abnormal activity on networks. Transferred Account Procedure (TAP) handling service provides a complete solution in format verification, transfer protocol and online access. EDCH TAP Correction is a service whereby TAP files are corrected on behalf of the client. 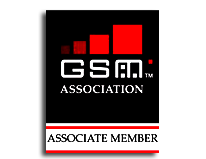 TAP file validation is performed each time EDCH receives TAP files from clients as per GSM TADIG standards. EDCH can offer solutions to handle MVNO clearing. So MVNO enters into roaming business with an MVNE to obtain global access for their subscribers to Roaming services. RAP Out files must be processed immediately otherwise clients will not be able to bill their roaming subscribers on time. The roaming cockpit displays the top roaming partners based on Traffic and revenue trends.